The 61st Annual Grammy Awards had a little bit of something for everyone on Sunday night, which might explain the fact it went nearly four hours (okay, 220 minutes to be exact). But regardless of some questionable performances, the evening ended with Kacey Musgraves and Childish Gambino being the big winners of the bigger awards. Musgraves’ album Golden Hour won Album of the Year and Country Album of the Year honours while Childish Gambino earned Record of the Year for “This Is America” as well as Song of the Year for the same track. Donald Glover (aka Childish Gambino) was absent from the ceremony but his thought-provoking single resonated with Grammy voters. Other winners included Cardi B who took home Best Rap Album for Invasion of Privacy, Dua Lipa for Best New Artist and newcomer H.E.R. Earning best R&B Album for her self-titled effort. Possibly the biggest highlights essentially bookended the show. Janelle Monae’s “Make Me Feel” brought to mind Prince and James Brown while St. Vincent’s “Masseduction” (which won Best Rock Song) duet with Dua Lipa brimmed with natural chemistry. The evening also got off to a great start thanks to Keys being joined on stage by Lady Gaga, Jada Pinkett Smith, Jennifer Lopez and Michelle Obama. Obama got the biggest cheers of the quartet by far. Unfortunately, some other parts didn’t quite work, particularly a Motown tribute which was essentially Jennifer Lopez’s performance from start to finish. The medley was high energy but left a lot of people on social media and at home wondering why other artists weren’t chosen to possibly do the songs more justice. This paled in comparison to the melding of Red Hot Chili Peppers with Post Malone, a sonic lab experiment that was best left for the laboratory. There was also ample Canadian content and representation with Alessia Cara presenting the Best New Artist with legendary comedian Bob Newhart and hitting her humorous lines perfectly. Drake earned Best Rap Song for “God’s Plan,” beginning a speech about the Grammys not defining success before being cut off. Early in the proceedings singer Shawn Mendes performed “In My Blood” with Miley Cyrus. And Parton also managed to include a snippet of Neil Young’s “After The Gold Rush” during her tribute portion. Earlier in the day during the non-televised ceremonies roots singer Brandi Carlile (who dazzled during a spine-tingling rendition of “The Joke”) took home three Grammys in Best Americana Album category for By The Way, I Forgive You as well as both Best American Roots Song and Best American Roots Performance for “The Joke.” Meanwhile, Lady Gaga won for Best Pop Solo Performance for “Joanne (Where Do You Think You’re Goin? )” and took home one for “Shallow,” her duet with Bradley Cooper in the film A Star Is Born for Best Song Written for Visual Media. Lady Gaga’s performance of the same song was also strong despite Bradley Cooper’s absence on it. Elsewhere Beck took home Best Alternative Music Album for Colors and Ariana Grande’s Sweetener won Best Pop Vocal Album. 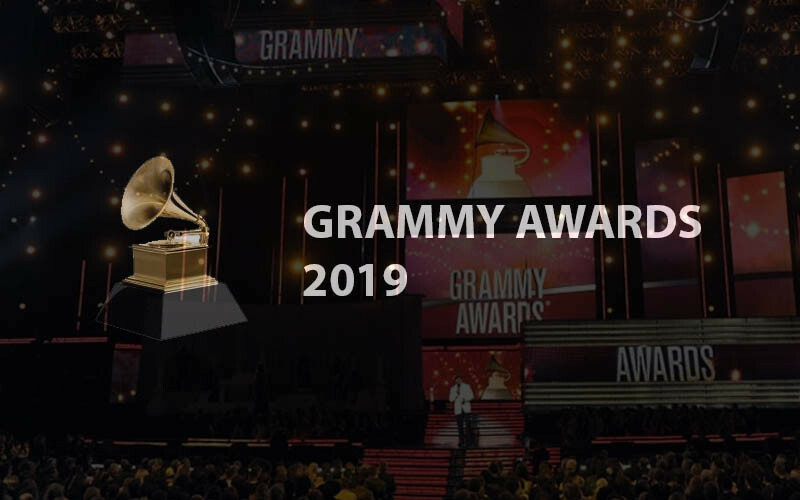 A complete list of the winners can be found at Grammys.com.